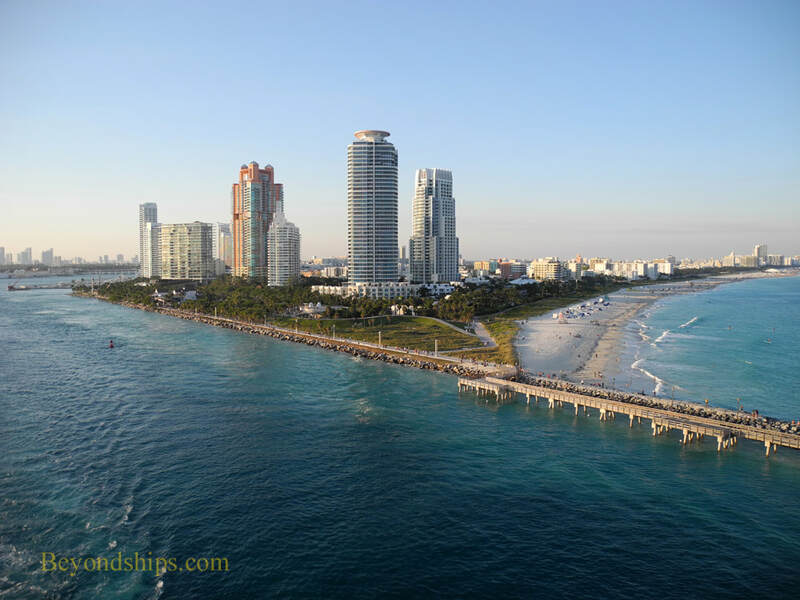 Although Miami has become a world class city, its beaches remain one of the city's biggest attractions. 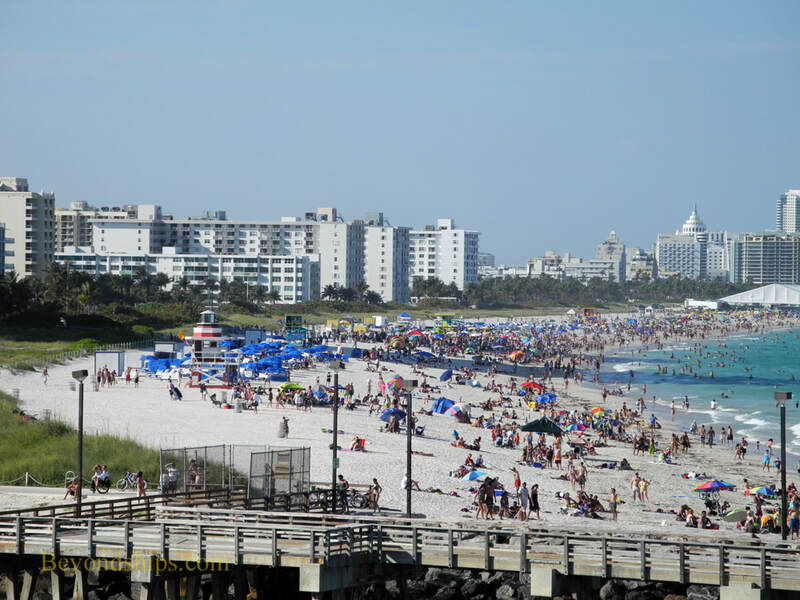 Its most famous beaches are not actually in the City of Miami but rather on Miami Beach, a barrier island to the east of the city. These are the beaches seen in movies, television and in magazines. The southern most tip of Miami Beach is South Beach. It is a wide, white sand beach dotted with designer lifeguard stations. Along this stretch of public beach runs Lummus Park with sidewalks and tropical landscaping. Further north you come to the central stretch of Miami Beach. Here, you find hotels such as the Fonainbleau, synonymous with the glamorous image of Miami Beach as a vacation destination in the 1950s and 1960s. Not all of greater Miami's beaches are on Miami Beach. There are also beaches on Key Biscayne, Virginia Key and south of Biscayne Bay. One of Miami's most famous districts, cosmopolitan South Beach was rural farmland in the 19th century. Later, single family residences were planned for the area. However, in the 1930s, entrepreneurs started building hotels along its beach in order to attract tourists eager to escape winter. 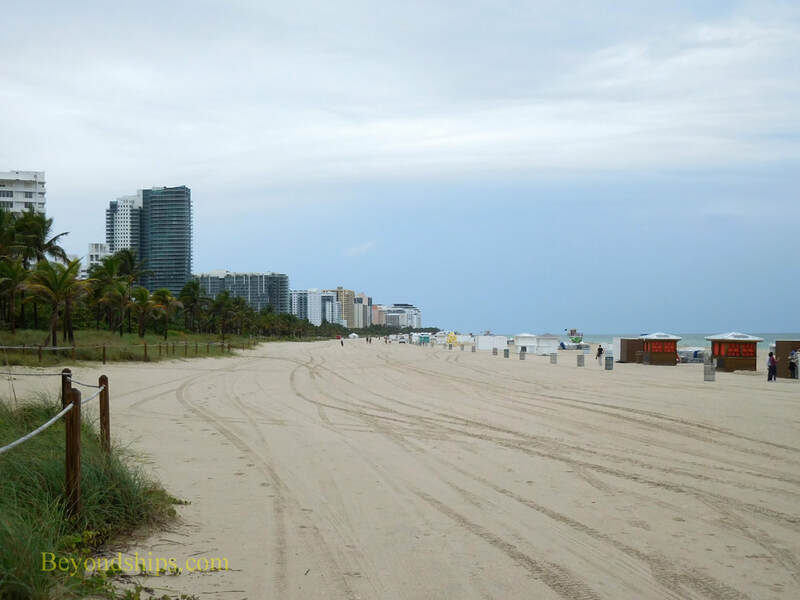 After being a vacation center for several decades, South Beach deteriorated due to drugs and crime. In the 1980s, however, the area began to attract people from the fashion industry and the area began to recover. Now, it is gentrified and once again a tourist center. In addition to its free two-mile long beach, South Beach is known for its numerous examples of Art Deco architecture. It is also known for its restaurants, shopping and opportunities for people watching. Miami's leading art museum if the Perez Art Museum (see separate profile). Located near Miami's cruise port in downtown Miami, the Perez is housed in an award-winning contemporary building. Its collection focuses on modern art and contemporary art. Adjacent to the Perez in Museum Park is the Frost Museum of Science. (Not to be confused with the Frost Art Museum at Florida International University). 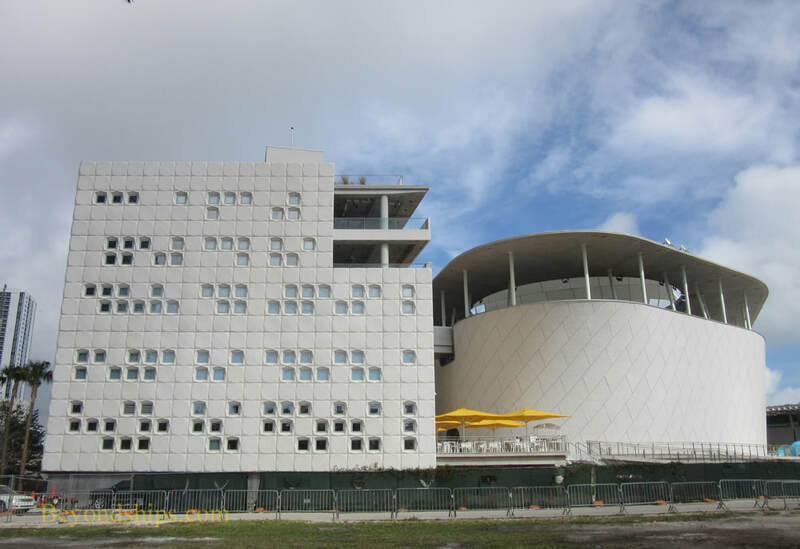 Formerly the Miami Museum of Science, the museum's name was changed after Phillip and Patricia Frost donated $35 million for the construction of a new science museum in downtown Miami. The technologically advanced building opened in 2017. It includes a planetarium, an aquarium and exhibits relating to other sciences including biology, ecology, physics and mathematics. Miami also has one of America's great houses. 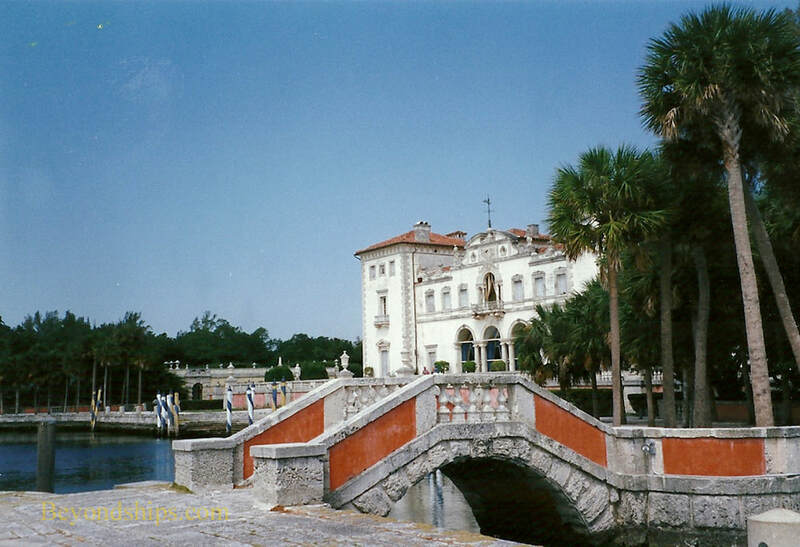 Vizcaya was built as a vacation home for International Harvester Vice President James Deering between 1910 and 1922. The estate originally covered 180 acres and included the main mansion, formal gardens and its own “village” designed to support the main house and make the estate self-sufficient. Deering employed both local and European craftsmen to build his romantic vision beside Biscayne Bay. In addition to importing antiques and art treasures from Europe and Asia, Deering commissioned works from contemporary artists to decorate the house and its grounds. After his death in 1925, Vizcaya eventually passed to his nieces. In 1952, they transferred the property and the contents to Dade County. 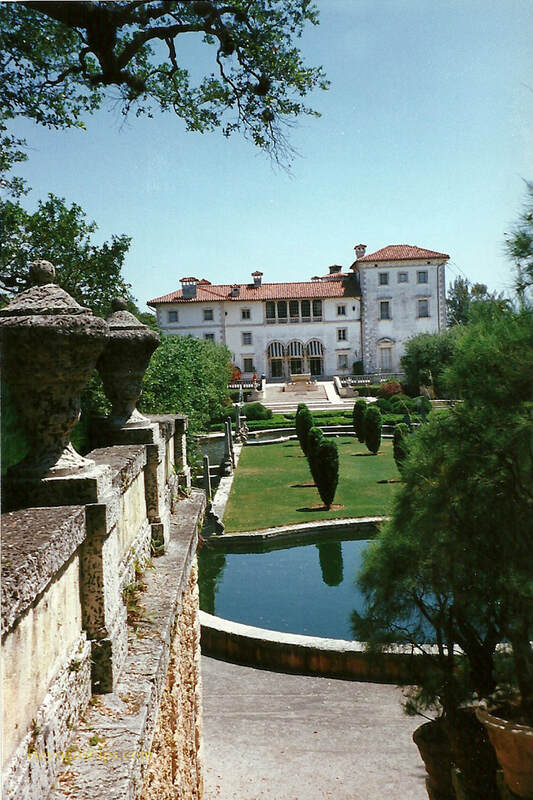 Located in Coconut Grove, the Vizacaya Museum and Gardens is open to the public. Its collections include Roman sculpture, Renaissance tapestries, Chinese ceramics, Italian furniture and early 20th century sculptures and paintings. They are presented much in the way they would have been seen when President Warren Harding and film star Lillian Gish came to visit Deering. Thus, the museum not only shows art but gives a glimpse of a glamorous time in American history. Because of its history and its spectacular setting, the museum is also used for public events. Visitors have included Presidents Reagan and Clinton as well as Queen Elizabeth II, King Juan Carlos of Spain and Pope John Paul II. Across the Port Boulevard Bridge from the cruise port is the American Airlines Arena. 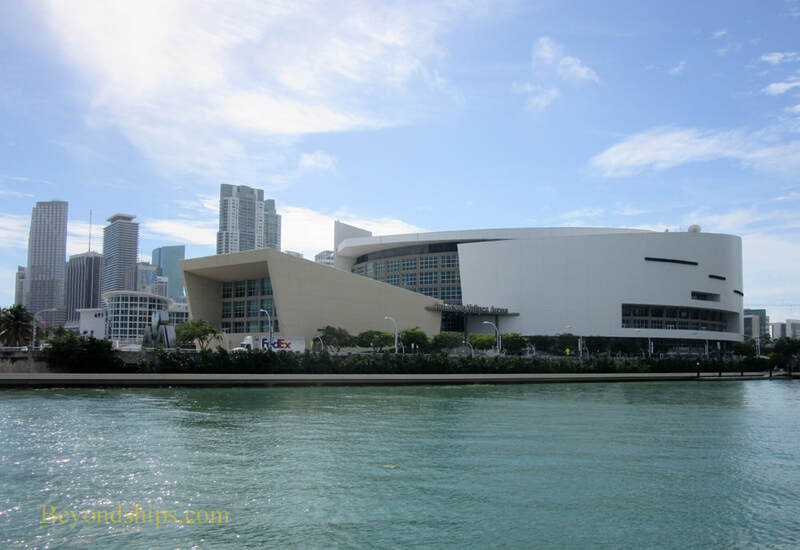 It has a seating capacity of 21,000 The home to the Miami Heat of the National Basketball Association, it is also a venue for concerts by artists the caliber of Paul McCartney, Gloria Estefan and the Rolling Stones, shows and other entertainment events. 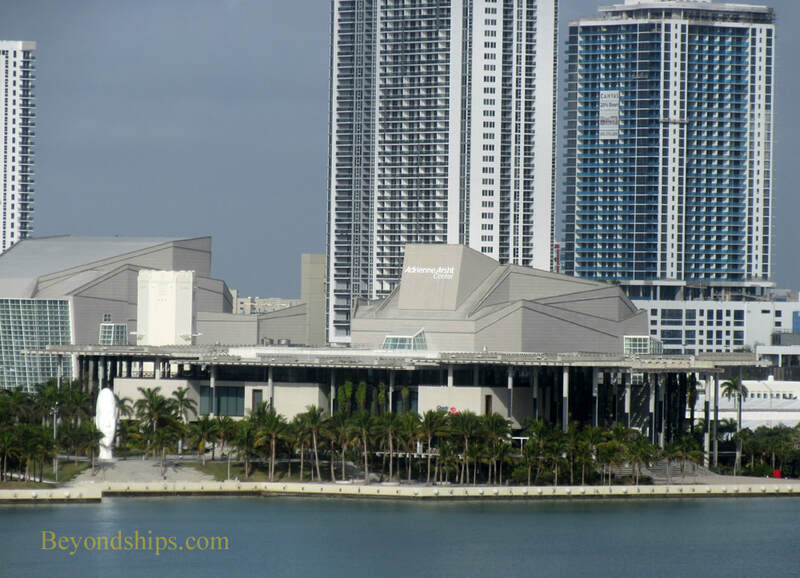 Located by the Main Turning Basin of Biscayne Bay, the complex also includes the more intimate Waterside Theatre.